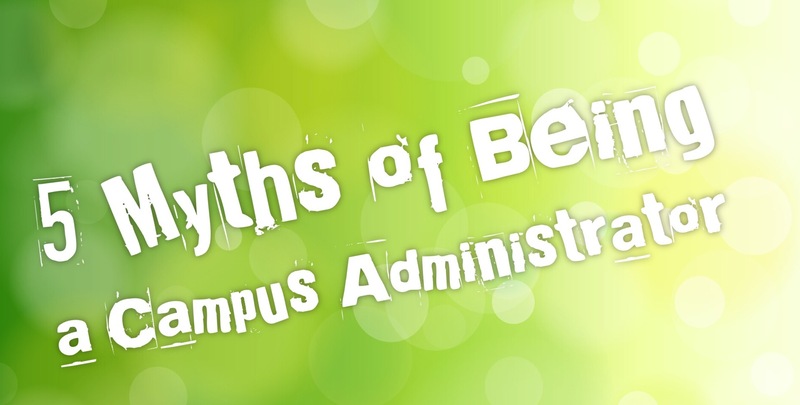 Being a campus administrator today is quite different than it was just ten years ago. New tools, newer research on pedagogy and technology, and a different generation of students make being a principal and assistant principal more challenging. If we aren’t careful, it’s easy to neglect some things because they aren’t the way we used to do them; we may fall into patterns developed long ago without realizing it. Here are five myths that we need to avoid in order to build capacity in our staff with regards to integrating technology effectively. Myth 1: I don’t have time to model effective technology use. Yes, different parts of the year get busier than others and it seems like life somehow runs only on the chaos cycle. When that happens, it is easy to take some shortcuts. Be on the lookout though; this myth is likely to pop up while you are planning your next faculty meeting. Modeling effective technology use is important for teachers to see. How you use it, even in a faculty meeting, can give teachers a better understanding of how to use technology in their classroom, as well as grow their confidence in using technology. You may even use technology differently than they’ve thought of before, which broadens their understanding of the different ways that technology can be used to facilitate inquiry, discussion, research, consensus-building, voting, and follow-up. Myth 2: My staff is skilled. I can just tell them. Each staff member does bring a level of skills and talent to the table as they teach that you should be able to speak to. But, just like other professions, simply telling somebody something may not help them connect the dots on how to use the technology as effectively as if you took the time to share a video with them, demonstrated how to integrate a new resource, or pointed out another teacher’s proficient use of technology in her classroom. Just think what would happen if medical school interns were only told about medical procedures or read about them – no videos, no investigative studies, no cadavers. I think we would agree that we would not want a doctor that was just told about medicine. Don’t make the mistake of lessening the teaching profession. Myth 3: I have to look like I have no problems when using technology. As the instructional leader of the school, you do have a lot of people that are watching you. Instead of striving to be perfect, strive to be human. If you are using technology in a faculty meeting and something goes wrong, make it a part of the conversation, think out loud as to what you should do, and be willing to ask for help. Otherwise, when teachers go to their classroom and close their doors, they are likely fall into the same trap which prevents their students from seeing their teachers grow…and being a part of that growth. How freeing it would be if we were all able to admit that we each need help at times and unafraid to ask for it and give it. Myth 4: It’s not that important. Just like children mimic their role models, you will find that your faculty will mimic you. They’ll start reflecting the same values that you have for many things: children, testing, technology integration, etc. If you believe the myth that technology integration is not that important, you have removed an expectation of your faculty that will negatively impact your students’ potential to compete in a digital world where knowing how to use technology as professional tools of learning can be a game changer. Myth 5: Modeling effective technology integration is the job of my campus tech specialist, librarian, or computer lab teacher…not mine. We do have staff members who are expected to possibly assume more technology integration and use than others. Abdicating your responsibilities to them, though, can be a strategy that can lead on a downward spiral to incompetence. Would it be okay if your teachers decided that teaching digital citizenship was the job of just the librarian or computer lab teacher? What if teachers decided to just teach review content instead of on-grade-level content? Soon, every teacher would be complaining about the teachers below them – “If they would just do their job, my job would be much easier!” Embrace your role as instructional leader and consider it a privilege that you get to learn and model effective technology integration along with your staff. Take time to reflect on what myths you have bought into and the impact that you can make by changing your mind and believing what is actually true…not necessarily easy but true nonetheless. 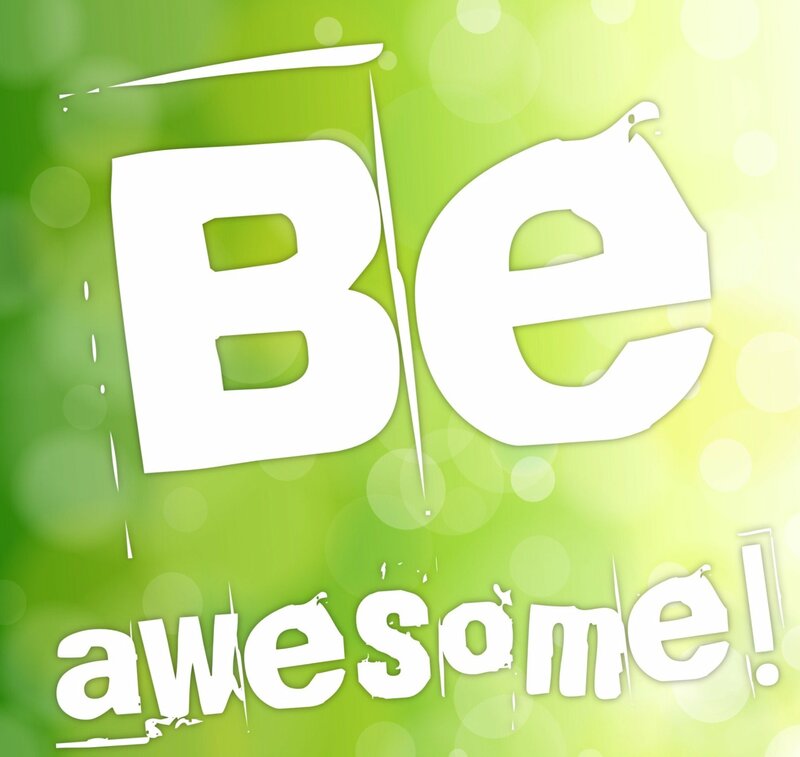 If I left you with one saying to challenge you, it would be with what Steven W. Anderson (@web20classroom) daily exhorts his Twitter followers to do: Be awesome! However you need to do it, work on removing those crippling lies and myths so that you can be awesome today. You do have the power to change lives and impact people beyond what you see.